Do your holiday shopping early! 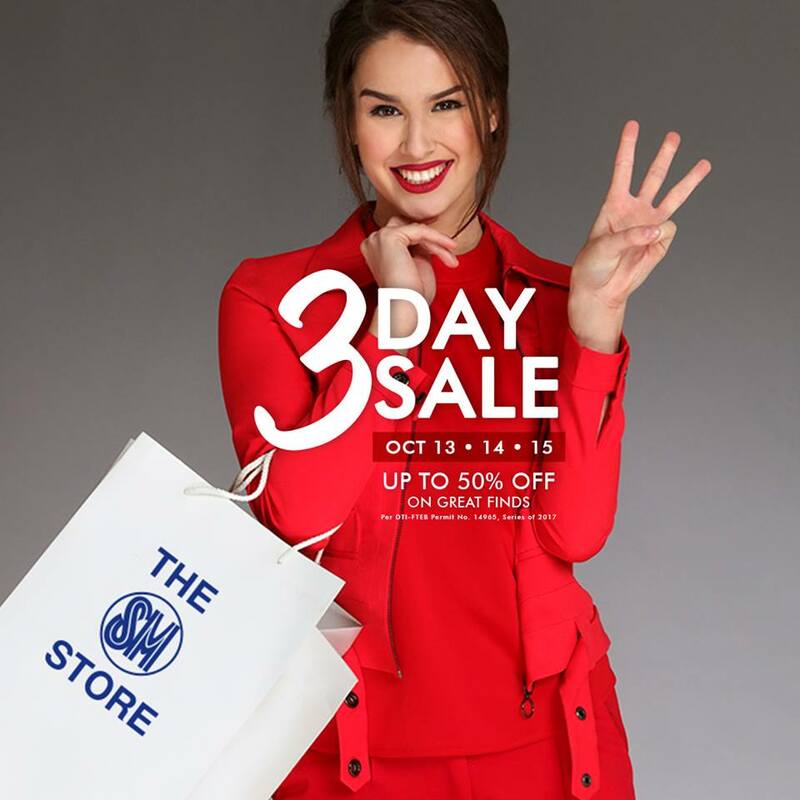 Check out the SM Stores' 3 DAY SALE happening on October 13, 14, and 15 at The SM Store Megamall, Bacoor, Bicutan, Novaliches, San Mateo, Baguio, Marilao, San Fernando, Cabanatuan, Batangas, Cauayan, Naga, Seaside Cebu, Davao, and CDO Downtown Premier. Enjoy up to 50% off on great finds storewide! 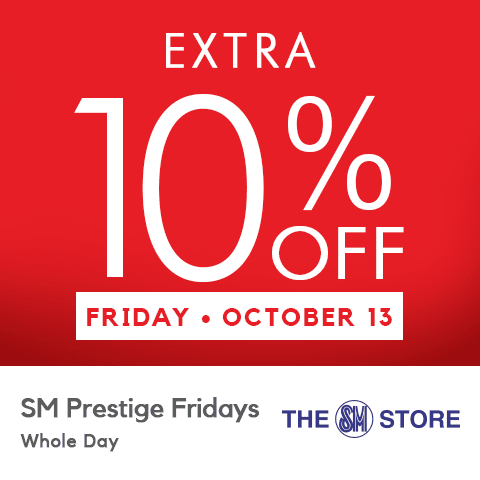 SM Prestige, BDO Diamond and Sapphire Rewards members get extra 10% OFF during SM Prestige Fridays on Friday, October 13, 2017 . SM Advantage, SM Prestige, BDO Diamond and Sapphire Rewards members get extra get extra 10% OFF during SMAC Saturdays on Saturday, October 14, 2017 from SM Store opening up to 12 NOON. SM Advantage, SM Prestige,, and BDO Rewards memeber extra 10% OFF during the Final Hours Sunday Special on Sunday, October 15, 2017, from 5 PM to 7 PM.